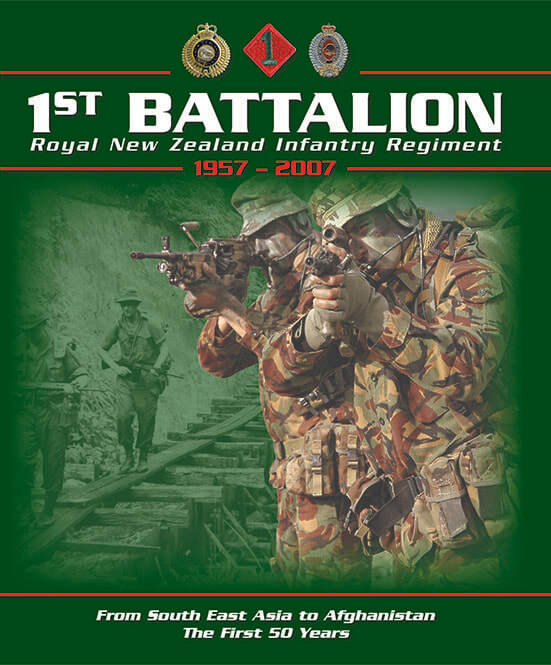 1st Battalion Royal New Zealand Infantry Regiment 1957-2007 commemorates the service of the Battalion both nationally and internationally and reflects upon the excellent leadership, training systems and innate soldiering abilities which have earned New Zealand’s Army an international reputation for producing extraordinary light infantry personnel. ​ The book succeeds the book produced for the 25th Anniversary, and is a history of achievement. It documents the last 50 years of the Battalion’s exploits and the people who served. This should be widely read by not only those who have served or are serving, but also by the New Zealand public who are interested in how 1st Battalion Royal New Zealand Infantry Regiment has served our nation from South-East Asia to Afghanistan.